What soccer gear will I need to get started? While you don't need much soccer gear to start playing soccer as typically all that's required is a decent pair of shoes and shin guards , the vast amount of equipment available can be daunting to both the new and experienced player. 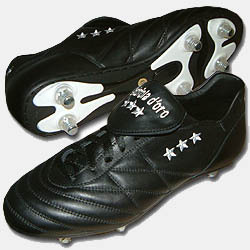 Soccer shoes are important and they come in many different styles, materials, and quality. From the plastic shoes you find at the department store, to kangaroo leather shoes handmade in Italy, there is a wealth of choice when it comes to choosing the right set of soccer cleats. Of course, much of your decision comes down to personal preference and your level of interest in the sport, so make sure to try on many different brands and styles. When you find a brand that fits best, my advice is to stick with it, as each brand of shoe tends to fit slightly different. 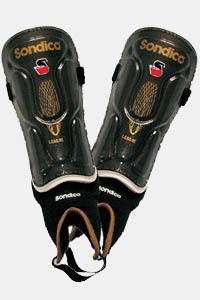 Injuries are going to occur in soccer, and as a result, properly fitted shin guards are an absolute must. Don't listen to those that will tell you they're uncomfortable or will hurt your performance, as it's simply not true. Like shoes, they come in many different varieties and materials so make sure you get a pair suited to you. Keeper's obviously have slightly different needs as far as their soccer gear is concerned. A good set of goalie gloves is essential, as are either padded shorts or pants. It may seem funny now, but gloves are a fantastic investment to make! You'll appreciate them when you're playing in colder temperatures, and the added grip will come in handy when taking throw-ins during wet games. Arm and head bands help effectively deal with sweat, and can be invaluable when playing in very hot climates. Base layers have also become extremely popular with Under Armour, Nike and other companies making compression shirts and shorts to be worn under the uniform. Compression shorts are highly recommended as they prevent cramps in your thigh muscles, and protect you from injury when falling or slide tackling.